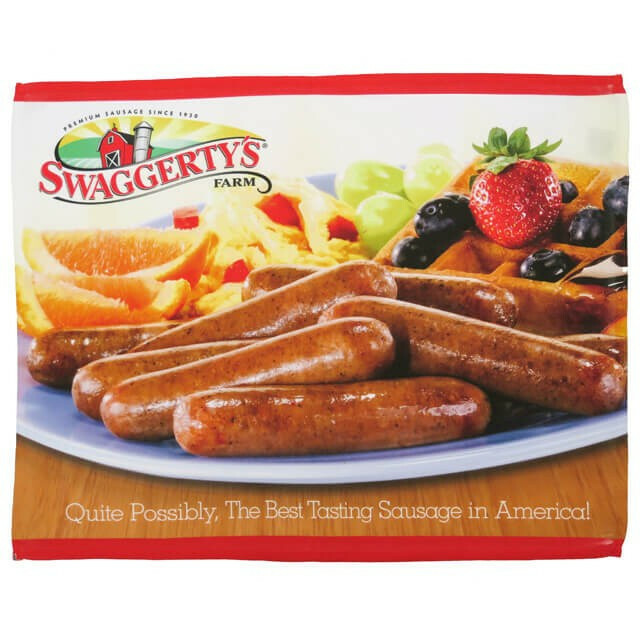 Not everyone wants or needs a Swaggerty's Farm towel. But for those who do and appreciate beautiful imagery of premium pork sausage links on a kitchen towel, you're gonna love this quality tea towel for cleanup around your kitchen. 25" wide and 20" tall. Full color photo on one side.